People trust what they understand. That’s why public perception of the government is just as important as what’s actually happening. If people think the government is hiding something, unfortunately it might as well be. Government agencies can change the narrative by engaging, educating and working with the media. That’s the principle behind an annual gathering that gives a select group of Florida journalists an inside look at the workings of a judicial system, helping them demystify the courts for a skeptical public. The Florida Bar’s Media and Communications Law Committee held the 26th annual Florida Bar Reporter’s Workshop in mid-October at the Florida Supreme Court. It was a two-day, all-in education seminar for several dozen Florida journalists taught by Supreme Court Justices, culminating in a dinner at the top of the state legislature building and a ceremony to honor our state’s best journalism about the judicial system. I think it’s worth restating the most unique characteristics of this event — who was involved and why: Journalists at the invitation of lawyers in the highest court of the state being taught by our most senior judges about the system and mechanics of Florida’s judicial system. It’s a partnership premised on the important role that education plays in accurate and effective coverage of our courts. The program has set the bar for proactive collaboration between the judiciary and the media. Over its almost three decades in existence, the program has been duplicated by several other state bars seeking to improve the synergy between judges, court clerks and the media who cover them. Under the leadership of the Florida Bar and Craig Waters, the Florida Supreme Court’s public information officer, the program has become a mainstay of the Supreme Court’s schedule and an essential boot camp for young journalists and those new to the state. Through this annual program, the Bar and the bench have embraced the notion that educating reporters on how to access judicial records and hearings, how attorneys are barred and disciplined, how judges as selected and disciplined, how a case moves through the system, how sentencing guidelines work, even how the state constitution is amended, is the best way to ultimately ensure the public’s trust in the judicial system. Why? Because an informed public leads to greater trust in the judiciary, and a trusted judiciary is essential to our democracy. I wanted to take this opportunity to highlight this phenomenal program because it represents the impact that proactive public information officers can have on the agencies they represent. Craig’s collaboration with the Florida Bar has resulted in numerous efforts by the Florida Supreme Court to work “with” the media beyond the Florida Bar Reporter’s Workshop. For example, when high-profile cases garnering extreme media attention are heard by the Florida Supreme Court, the Court proactively places key judicial records online for the public to access. Soon, the Florida Supreme Court will take part in Facebook Live broadcasts, embracing the power of social media. The Florida Supreme Court’s approach to the media in all its forms poses a challenge for the rest of our state’s governmental branches. Too many state, county and municipal agencies take the position that they are automatically pitted against the media. When faced with an option to disclose records that the legislature has deemed “may” be released, many public records custodians err on the side of secrecy instead of disclosure. That presumption needs to be turned on its head. State agencies can take a page out of the judiciary’s playbook and realize that a symbiotic relationship — even one that has a healthy dose of antagonism — is far more advantageous than sticking their heads in the sand. Public information officers can be the heroes of this dilemma. PIOs of courts, local, state and federal agencies have the opportunity to masterfully integrate the media into their networks. 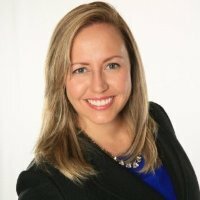 Ana-Klara H. Anderson is counsel to NBC Sports. She was a former litigator with Thomas & LoCicero PL, representing media organizations in defamation, newsgathering and access issues. She earned her Ph.D. and J.D. from the University of Florida in 2009. She was a research fellow for the Brechner Center for Freedom from 2006-2009, editor of the Brechner Report in 2008, and a First Amendment Fellow in 2009. She is the current chair of the Florida Bar Media and Communications Law Committee.